Anabel Matilde Bacelis Kumul, 36, a Mexican of Othon P Blanco, Chetumal, who is a resident of the Mosquito Coast area of South Ambergris Caye, was taken to the San Pedro Magistrate’s Court today, Thursday, before Magistrate Sherigne Rodriguez and charged for murder. She will be brought back to court on September 19. 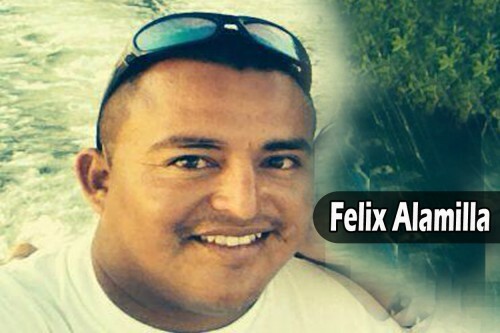 Felix Alamilla, 28, a caretaker and tour guide of the Mosquito Coast area of San Pedro, was stabbed to death early Wednesday morning while he was sleeping, and police say his girlfriend, Kumul, is the killer. “He managed to escape and made his way to the roadside, where he was met by his stepfather, who rushed him to the San Carlos Medical Center, where he was pronounced dead at 6:30 a.m.,” the release further detailed. The doctor at the medical center said that Alamilla had been stabbed in the chest near the heart, as well as in the head and in the leg. 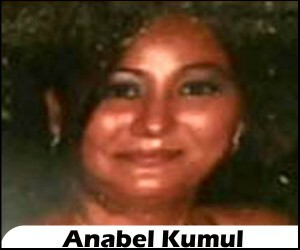 According to police, Kumul stabbed Alamilla while he was sleeping in the lower flat of his boss’ house in the Boca Ciega area of San Pedro, about two miles from Alamilla and Kumul’s residence in the Mosquito Coast, about 6:00 Wednesday morning after she was told that he was with another woman. According to police, Alamilla, who was out with friends since Sunday, began drinking and did not return home for two days, and Kumul, his girlfriend, became enraged when she was told that he was with another woman, and she tried to contact him, then began searching for him when he did not answer. On Wednesday morning, she reportedly tracked him down to his boss’ house, which is two miles away from their house in Boca Ciega, where she found him sleeping on a sofa chair. According to police, Kumul went into the house and attacked Alamilla, stabbing him three times. Kumul then fled the house in her golf cart. Alamilla’s male friend, who was in the house, took him to the San Carlos Medical Center in San Pedro, but he was declared dead on arrival, at about 6:30 a.m. The body was later transported to the Karl Heusner Memorial Hospital morgue for a post-mortem. 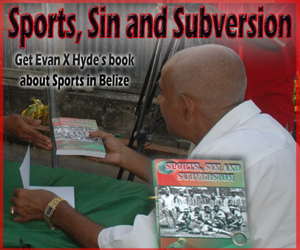 Inspector Henry Jemmott, Deputy Commander of San Pedro police, told Amandala that they launched a quick investigation, and then set up an operation to capture Kumul. 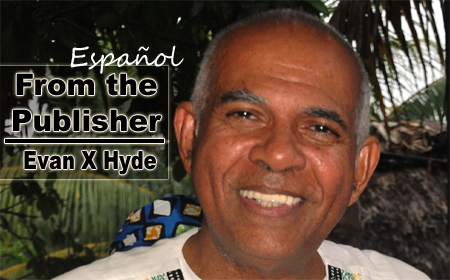 Police went to the water taxi station and then to the island’s airport, where at about 7:00 a.m. Wednesday, they saw Kumul coming to the airport to get a flight to escape from San Pedro. When Kumul saw them, she ran, but they quickly chased and apprehended her. They found knives in the golf cart she was driving, one of which was bloodied, Inspector Jemmott told Amandala. That knife was confiscated and police have detained Anabel Bacelis Kumul and two others pending charges. 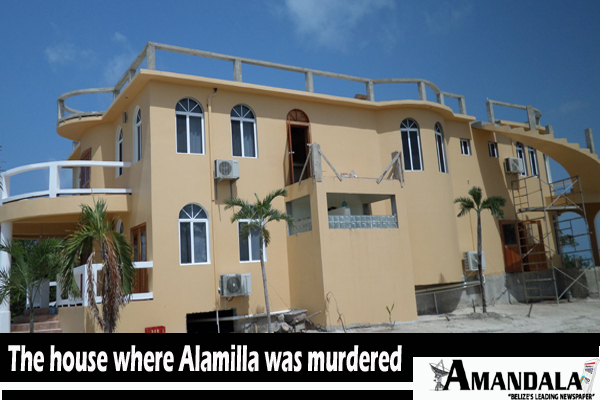 Police then went to the house where Alamilla was stabbed and found a woman, Kumul’s sister, there. The house had already been cleaned of the evidence of the crime. That woman was taken into custody, but has since been released. Inspector Jemmott said that some blood was still visible on the floor, even after an attempt had been made to clean it. Inspector Jemmott told Amandala that Kumul told them that she stabbed Alamilla after not being able to contact him after he left home. A caution statement was then taken from her, said the Inspector. 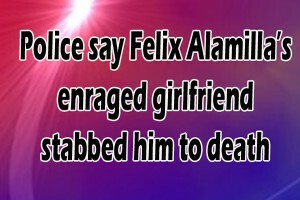 Alamilla’s friend, who was in the house at the time of the incident, told police that he, the friend, was lying down in the house when he heard the door open, and Alamilla’s girlfriend ran inside with a knife and pounced on top of Alamilla, and began to stab him. Alamilla was asleep and he, the friend, shouted at him in an effort to wake him. Upon awakening, Alamilla instinctively tried to defend himself, the friend said, by trying to drag a pillow in front of him, but he had already been stabbed. The friend then rushed Alamilla out of the house to the roadside, where they met Alamilla’s stepfather coming to the house, and the two of them took him to the hospital. Amandala asked Inspector Jemmott if there had been reports of domestic abuse which may have led to her killing him. Alamilla was helpless, because he was sleeping, and that was how Kumul was able to jump on top of him and stab him. In explaining the injuries, the doctor at the San Carlos Medical Center who attended to Alamilla told police that Alamilla bled to death. 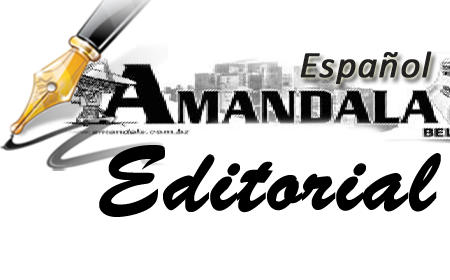 He said that in his opinion, it was the leg wound that Alamilla sustained that caused him to bleed to death. Doctor Mario Estradabran, police coroner, conducted a post-mortem on Alamilla’s body yesterday afternoon at the Karl Heusner Memorial Hospital. 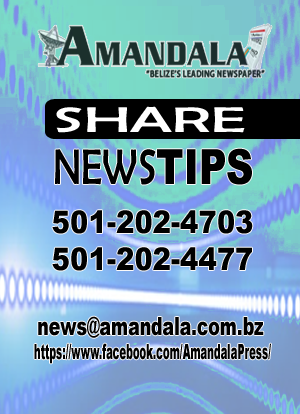 At the conclusion of the autopsy, he certified that Alamilla bled to death due to the stab injuries. Alamilla and Kumul are the parents of two children, one 4 and the other 6 years old. 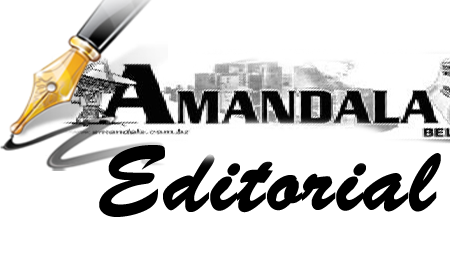 Amandala acknowledges the assistance of Inspector Henry Jemmott and Constable Santiago Tun in San Pedro, in covering the story.